Novell provides security and identity management, resource management, desktop, workgroup and data center solutions on several operating systems, such as Linux, NetWare, Windows and UNIX. Early in the new millennium Novell faced a challenge of integrating existing products with the Linux platform while ensuring smooth user migration from Windows. N-iX acted as an independent R&D center to integrate two existing Novell products, Novell NetWare® and Novell GroupWise®, with Linux Platform from idea to final execution. Additionally, dedicated development team for Novell also contributed to the development of Novell UDDI Server later deployed on Deutsche Post. Novell is a leading provider of infrastructure software, which employs endpoint management, collaboration, and file and networking solutions to make the workplace more productive, secure and manageable. Novell NetWare® Client for Linux provides Novell NetWare® and Novell Open Enterprise Server connectivity to Linux workstations by translating login script commands to their Linux counterparts. Today NCL is inscribed into SUSE Enterprise Linux distribution and is used by over 13,000 enterprises worldwide. Novell GroupWise® is a complete collaboration software solution that includes such features as e-mail, calendaring, instant messaging, task management, as well as contact and document management. 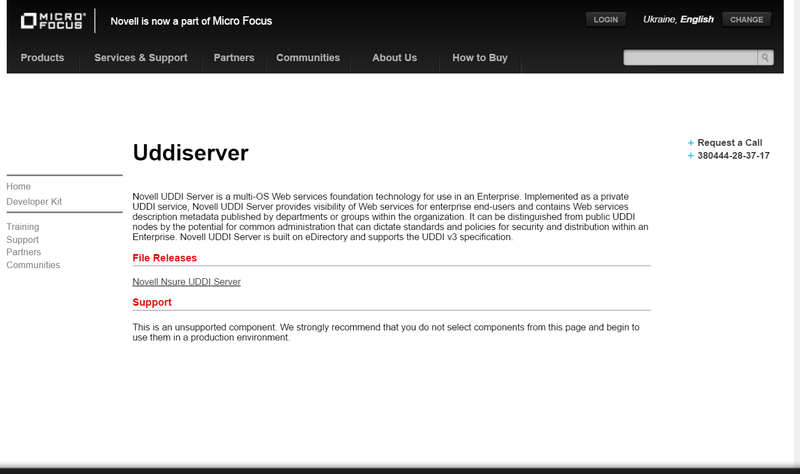 Novell UDDI Serve is a multi-OS Web services foundation technology for use in an Enterprise. Implemented as a private UDDI service, the server provides visibility of Web services for enterprise end-users and contains Web services description metadata published by departments or groups within the organization. It can be distinguished from public UDDI nodes by the potential for common administration that can dictate standards and policies for security and distribution within an Enterprise. The Novell UDDI Server is built on eDirectory and supports the UDDI v3 specification.